Google and Asus are preparing for a new Nexus 7 refresh upgrade and we are looking forward to this. We all know that the Google I/O event is kicking of from May 15th and we have already learned that they will be announcing multiple LG devices, putting that aside the latest news reports that there will be a new Nexus 7 with specifications upgrade to boot. The Google I/O event starts May 15th and ends on the 17th, which means new operating systems, better smartphone and tablet announcements will be made as well as the Nexus 7 refresh. The new Nexus 7 will be upgraded according to DigiTimes bringing a full HD display as well as a much thinner bezel; prices for the next-generation Nexus 7 will stay with the current pricing. Prices are apparently going to stay in the $199-$249 range for the Wi-Fi only model. It will also come with the latest Android Jelly Bean operating system; personally it would be better to bang Key Lime Pie in it to give us more flavoring. When the upgrading Nexus 7 releases it is expected to reach 10 million units in 2013 alone, this new model will be the same as the current Nexus 7 but with a specification boost. We cannot tell you anymore about this for now and information is slim, as soon as we know more you will be the first to know, please do come back for more information. 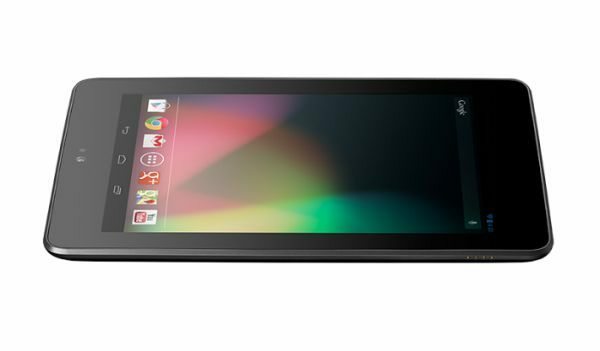 Would you buy the new Google Nexus 7 refresh upgrade by Asus when it releases? I wont buy a new N7, i have the current N7 and since its nexus, it should also get key lime pie or whichever update. The resolution is fine, i couldn’t care less about possible camera, and I don’t fall for 12,4% thinner carp.